Guess where we are on his Birthday? I have two Kings in my life that are worthy to be praised, honored, served, and have a monument erected in their honor: My dad, LJ Stallworth, and Dr. Martin Luther King Jr. I am patiently waiting, with excited anticipation, on my third King, who will take the role as my husband! 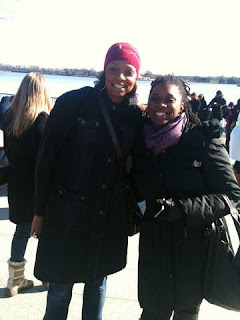 Today is King #2's birthday, and I spent the day with my girl Toya at the Dr. King memorial. She and I are both a little sentimental, and we did shed a few tears when we thought about the significance of the monument, this holiday weekend, our people etc. 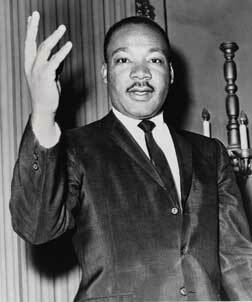 Today, and everyday, I will honor the memory of both of my Kings by having a dream of my own and living it. Thanks guys for teaching a humble girl, like me, how to have HUGE dreams and vision.